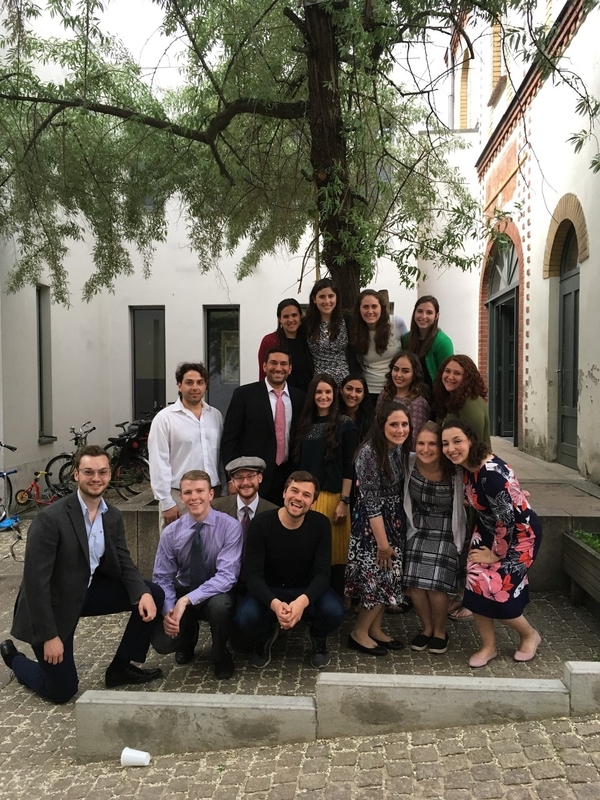 OU-JLIC is partnering with Germany Close Up to offer a subsidized group trip to Germany for Jewish college students and young professionals for the 4th time! The dates of the program will be from June 18th to June 26th (starting in the US on June 17th). The program will expose participants to Berlin’s multicultural life; allow them to visit sites such as a former concentration camp, the Memorial to the Murdered Jews of Europe and the Jewish Museum in Berlin, and to experience other key historical sites and cultural venues. Participants of the trip will meet with German opinion-makers from the academic and political spheres, representatives of grass roots movements and the Jewish community, as well as German contemporaries. The role of Jewish voices in transatlantic relations will be explored as participants actively contribute to German-American dialogue. The participation fee for this program is $890*. This fee is paid indirectly to Germany Close Up via a flight contribution. After being accepted to the program, participants are expected to book their roundtrip airline ticket to Germany with economy class and to provide proof of purchase to Germany Close Up. In most cases this expense will cover the $890 fee. If your air fare is lower than $890, the remainder is due to Germany Close Up following the program’s conclusion. If your air fare is more than $890, you may be eligible for a flight reimbursement from Germany Close Up for some of your costs above this amount. Please note that this amount is capped and depends on your point of departure in the United States or Canada. For participants departing from the New York or Washington D.C. greater metropolitan areas the maximum reimbursement available is $10. For participants departing from elsewhere in the United States or Canada the maximum reimbursement is $310. Only flight costs above the $890 participation fee are considered for reimbursement. For flight costs from New York at $900, you will be reimbursed $10. For flight costs from New York at $ 1.000, you will be reimbursed $10. CLICK HERE TO APPLY FOR THE ORTHODOX UNION TRIP!